I don’t know about you, but on a daily basis my Facebook feed is lit up with posts screaming that we’re all going to die of the zombie plague that is Ebola. To be honest, I’m not afraid of Ebola (and I’m a germaphobe, so that’s saying something). But, what I am concerned about is the level of OMG-fear mongering that is truly plaguing us. If we look at FDR’s quote closely and apply it to the Ebola situation, we will see that the old man is right. When we react to situations with uncontrolled fear, we not only make poor choices, but we actually damage our brains in the process, leading to vicious cycle of more poor choices. Left unchecked, this fear can actually cause us to behave in such a manner that we will often create the situation we are so desperately trying to avoid. From a brain training standpoint, why do we do this? The answer has its roots in trauma theory. All of us experience traumas throughout our lives. They can vary; from big to small, physical or emotional, real or perceived. If the traumas are big enough or we have several small ones over time, they can permanently change our brain function. This causes us to live in a constant state of arousal, with the “fight or flight” mechanism in our brain activated no matter what. The result is that we experience constant worry and fear no matter what is going on around us. Because the brain’s job is to make sense of the world around it, it then creates stories to justify how it is feeling. Sometimes it seeks out things to be anxious about; from constant worry about leaving the stove on to believing every event on the news is a major catastrophe soon to destroy life as we know it. (Political pundits, pay attention here. Just sayin’.) When no such material is available, the brain will then cause the person to behave in such a way that they create what they fear. Ever hear of the term “crazymaker” or “drama queen”? People who engage in drama seeking behavior HAVE to do so, so that their environment reflects what they are feeling on the inside. By behaving this way, negative events spring from the drama to reinforce the person’s beliefs (while re-traumatizing the brain) and the cycle continues. On the other hand, some people respond with “Well, I can’t do anything about it, so I’m going to ignore it.” That isn’t helpful either. This type of response is another form of engaging fear by resisting it. When we stick our heads in the sand and ignore problems we allow them to grow bigger and bigger until they overwhelm us and cannot be ignored any more. By that time, the problems have then already reached a tipping point to where they are no longer manageable. Fear wins again, because now there truly is a catastrophe to deal with. We can’t engage fear and we can’t ignore it either without disaster. So, what do we do? The answer is somewhere in the middle. We must learn to address fear through conscious response. Conscious response allows us to identify problems, evaluate possible ways to address them, and then follow through with the most appropriate action to our situation and ability. 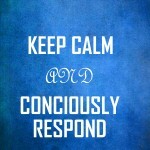 Conscious response allows us to move confidently, without fear, to face adversity. Conscious response also gives us space to re-evaluate ourselves and others without anger, guilt, or shame when our plans fail. Conscious response allows us to try again and again until we succeed. • Brainwave Training: I cannot stress this enough. Remember how we talked earlier about trauma disrupting brainwave function? Well, brainwave training is one of the only things available to us at this time to get our brains out of fight or flight and back to functioning in an optimal state. Once the brain is trained, all things are able to fall into place. Without it, the brain will continue to go into fear, whether you want it to or not. • Daily meditation and mindfulness: If you want to learn to play the piano, you don’t take lessons one day a week and then never practice. And if you do, Mrs. Hollenshead (my 103 year old piano teacher who is still alive and kicking) will give you a very stern lecture in front of your mother and then you will get grounded for a week (don’t ask how I know that). Meditation is the same way. It is your daily practice to support your brain health and keep you in a place of conscious response throughout your day. It is not a one and done. Mindfulness and conscious response are tools you use throughout your day in all situations. • Integration of emotion: Ignoring how we feel will only allow those feelings to grow bigger and eventually become destructive. They will cause us to react, and often not in a way that is most beneficial to ourselves and society as a whole. The process of integration of our feelings of fear, anger, shame, and sadness, involves sitting with those feelings and allowing them to be without creating stories around them. (For more information, be sure to check out “The Presence Process” by Michael Brown.) Upon integration of these emotions, they cease to have the power to drive our behavior. • Response instead of reaction: Reaction to fear perpetuates the cycle of trauma by making problems bigger and less manageable. 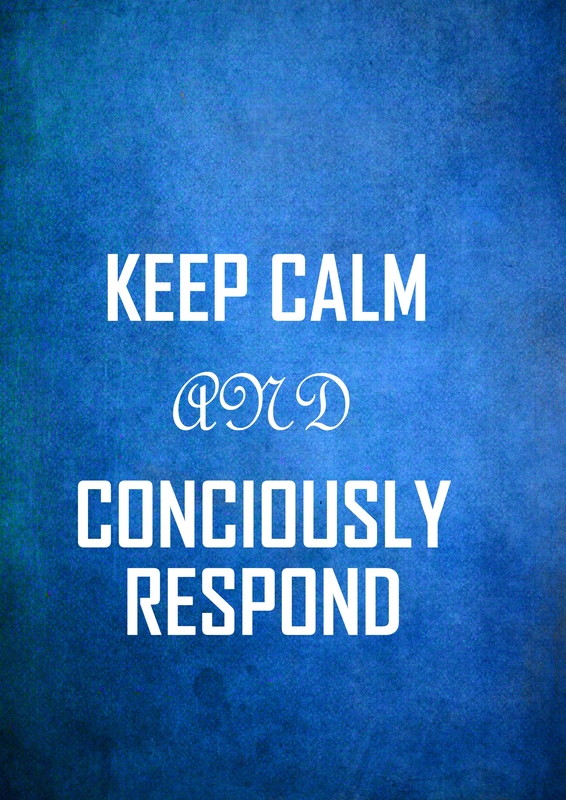 Conscious response allows us to take time, calm ourselves, and address fearful situations without losing control. It allows us to see exactly what is in front of us, along with logical ways to address the problem. Conscious response allows us to effectively set a plan into motion so that we may resolve situations without creating more drama and trauma. Remember that fear can be spread more rapidly and cause more destruction than almost any disease out there. So, I implore you: stop the zombie outbreak. Don’t let fear eat your brains.